Saxpackgirl has been doing covered songs through YouTube and their Facebook fan page named “Saxpackgirl” which has more than million viewers now. They have numerous expertise and provided Saxophone instruction and training. They are also willing to share a useful information about Saxophone and other music instrument. 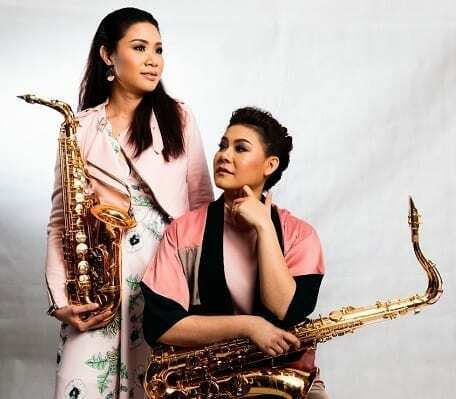 Saxpackgirl are involved and previously played in many music events such as Bangkok Jazz Night 2015, Saxpackgirl live in Malaysia 2017, Huahin International Jazz Festival 2017, etc. In February 2017, Saxpackgirl released their first mini album to the public. And In October 2017 they first released “Saxpackgirl : Dream a night like this”, the full album which be produced and recording by Thai finest musicians such as Koh Mr.Saxman , Duck Suthipong (Drums) and Game Puttikorn(Guitar). This album released to first public at “P.Mauriat” in Taipei and Shanghai “Music China”.